"Let us worry while you work"
Proper eye protection is vital in the work place. 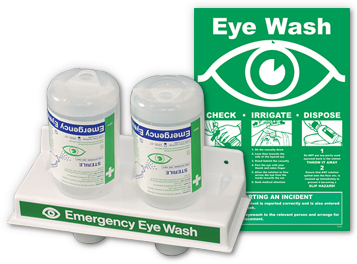 At $38.00, this eye flush station is efficient and affordable. 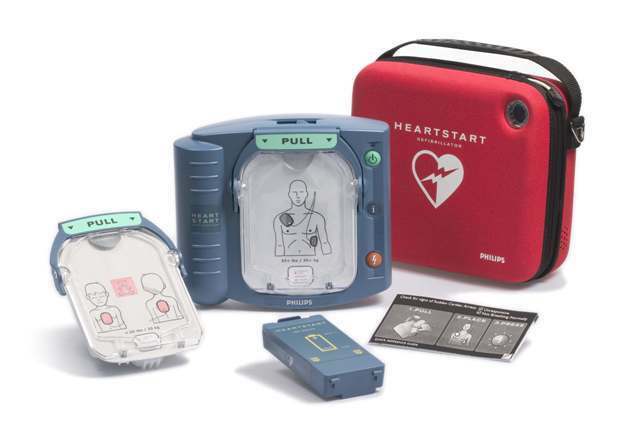 An AED could save the life of a fellow employee. In addittion to our on-site services, we have an national shipping division that is very proficient. Most of the time, orders ship via UPS same day. All orders will shipped within 24hours. To place and order, call or email me to request an order form. 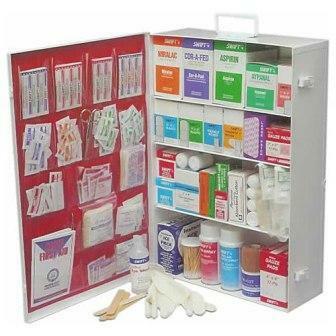 Based out of Raleigh, NC, Corporate First Aid is a supplier of a vast range of first aid and safety supplies for the workplace. As a family owned and operated business, our objective is to be the best we can be in our 3 most important areas of business, service, products, and pricing. 1.) As the North Carolina Rep., I can personally guarantee the quality of service this company provides. We go above and beyond what might be expected of an on-site vendor. 2.) We have shopped around for years to be sure we have a reliable product that will best fit our customers needs. Our products are all tested in workplace environments to ensure quality. 3.) Our price match guarantee allows us to confidently provide the best prices in the first aid service industry. We will not put profit margins above the customer.